Downtown Las Vegas' tallest hotel, the 34-story The D Las Vegas has over 600 rooms with terrific views at reasonable prices in the heart of legendary Fremont Street. 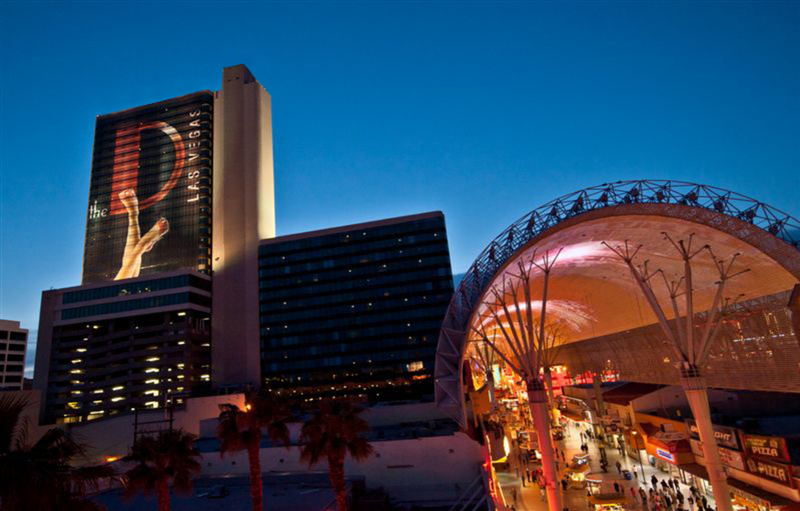 The rooms provide a fresh, fun atmosphere just steps from Fremont Street's action. The two-story casino is one of a kind in Las Vegas - the first floor offers modern chick atmosphere, while the second floor is a throwback to classic, vintage Vegas. 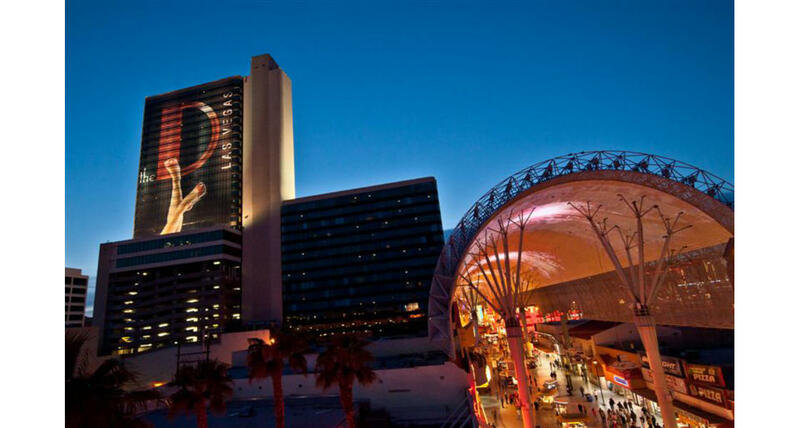 Visitors can enjoy a lively atmosphere at the LONGBAR or the D Bar with easy access to the casino, hotel and downtown action of East Fremont Street's Entertainment District. Don't miss the spectacular view from the D Bar, which overlooks the lights of VivaVision and all the action below on Fremont Street. You'll always be entertained at the D, including a cast of unique characters help solve the crime in the interactive murder mystery dinner show "Marriage Can Be Murder." Defending the Caveman, Adam London's Laughternoon, Friends! The Musical Parody plus Jokesters Comedy Club round out the entertainment. Running around town all day can make you hungry. Stop in for a classic American Coney Island hot dog - featuring the famous Keros family recipe and sumptuous Dearborn Sausage! Or enjoy a casual contemporary meal at the D Grill. For an elegant evening of fine dining, check out the legendary Joe Vicari's Andiamo Italian Steakhouse!